Safemidsize reliable car which performs well in Michigan winters. I live in Northern Indiana, soon to be Michigan, and I will be driving a decent amount in snow/ice. I'd prefer a reliable and well built car that, with regular maintenance, will last 10+ years.I normally drive alone or with one passenger. Within that time frame we'll have young children so safety is a must. 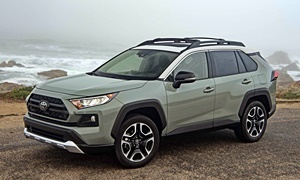 I've taken a hard look at the Outback and Forester for their reliability, size, safety rating, utility, and Subaru's AWD system.Other cars I've looked at are the Toyata RAV4 and Honda CRV but I'm leaning towards the Subarus. I currently own a 2001 Jetta that has seen better days.I work on a vegetable farm and use my Jetta to haul everything from mulch to produce and I'd appreciate some extra cargo room. I'd like to be able to haul light loads. 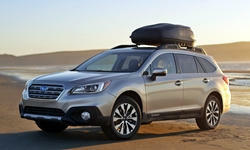 Between the two Subarus, I like the Outback's better safety rating and its longer cargo area than that of the Forester's. I appreciate Honda's and Toyota's reliability and longevity, but I'm more concerned with safety in poor conditions. 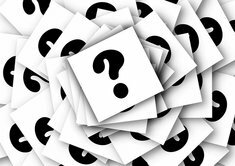 So, the questions are: How do the Forrester, Outback, RAV4, CRV stack up against each other? I live in Traverse City and the Outback and Forrester are very popular cars around here, there are a lot of them and they seem to hold their value reasoabally well. The RAV4 is also popular but doesn't seem to be as popular. Locals swear by the Subaru AWD system and comment that reliability has improved. If you will drive on both asphalt as well as no asphalt roads, I would highly recommend 4 quality winter tires (check the tire ratings) as well for use from mid-November until about early to mid-April. They will make about as much difference as AWD to your ability to handle hills, turns etc as long as you keep to reasonable speeds for the conditions. Your choices are all excellent, popular vehicles with a lot of similarities. If you googleforester vs crv vs rav4 you will get many professional and amatuer comparisons & opinions. Consumer Reports is the most analytical, just the facts publication and an excellent source IMO. There is not a bad car in the bunch. Any of these will go 10 years with proper maintenance. That is not to say, they will be problem free! Which is best for you boils down to personal preference and needs. Would love to hear what you settle on and why. Regarding snow tires: no doubt dedicated snows will improve your stopping distances -- especially on ice- but in my area (PNQ) very people get them. I would echo that tires are really important. Get a good set of studded snow tires and you'll be fine in any snow/ice conditions in any vehicle. AWD is not as valuable as having the right tires. I personally drive a 2wd Honda Fit with studded snow tires and I have yet to encounter a winter situation where I couldn't get traction in hilly upstate NY. For on-road driving, the advantage of the AWD vehicles is really two things - traction with all-seasons in winter and ground clearance. If you're regularly driving over unplowed roads, your Subarus with a couple inches more clearance will push their way through a little bit deeper virgin snow than a Fit would. 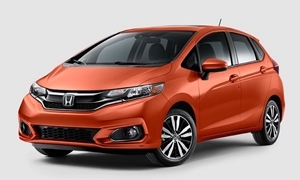 You might want to consider a Honda Fit in your search. It's significantly smaller and cheaper than an Outback, but it only has about 20% less interior space and it's more configurable. Reliability is great, it gets better MPG; you could buy one new with $$ left for winter tires. My observation from my neck of the woods is that a lot of people just have the expectation they'll drive all-season tires all year long, and then they select a vehicle that lets them do that as safely as possible (AWD/4wd). But the reality is, a 2wd vehicle with snow tires is significantly better in the snow than AWD/all-seasons, and costs a LOT less. You just have to swap tires twice a year. But if you do decide to go the AWD route, the four vehicles you mention are all pretty good. I'd see which one you can get the best deal on (relative to KBB values) and which ones have the interior space you prefer. You'll be dealing with the used market, so you'll probably be restricted in which options and trim levels are available. I don't disagree with any of the above. All three are good choices. The best AWD system of the bunch is Subaru's. The best safety prevention system of the bunch is Toyota's safety suite, but Subaru's Eyesight works just as well - but in good weather only since it relies on cameras and not sonar like Toyota (and other brands). Subaru's do last a long time - they brag in recent commericals 98% of ten year old Outbacks are still on the road in America. Note however, that about 10% of Outback's sold burn oil according to Consumer Reports. This you can live with if you check the oil. I own a 2013 Subaru Legacy with 70,000 miles that has burned oil since about 40,000 miles. You have to burn a 0.5 quarts every 1000 miles to get a new engine under warranty, and I don't do that - I burn about a quart every 2500 miles. So I check the oil every 1000 miles and if it needs some, I top it off. Car runs fine, no other issues, just a constant point of maintenance. It is like cars from the 1970s built with poor quality - a lot of them burned oil, and you had to maintain it. This is Subaru's (and Porche's since it has the same engine design) achilles heal, so to speak. If you are in the 90% that don't burn oil, you are in the majority. Just 10% of us have to deal with it. About tires - they DO make a big difference. Please note if you have to climb a mountain, like I do, snow tires don't make enough of a difference. I climb a route that is 650 feet every day to get home. In my front wheel drive Saab it was okay in the snow, but the Subaru with AWD and the same snow tires had absolutely no problem. In the Subaru, I knew I could get home, in the Saab with FWD it is only luck if I made it home and did not have to walk. So if you have some small mountains where you drive, you will really prefer AWD. My new car, I got an AWD vehicle and look forward to driving it home next winter with no problem. You will hear some favoring one or the other but of the ones you mentioned, it is a wash. Quality is nearly the same, AWD is something of a differentiation, and the safety prevention is a little more of a differentiation. Otherwise you won't really lose with any of these choices. Best of luck. If you were only comparing new cars, I think the RAV4 would work the best for you. Second, the Subaru because of the inferior reliability. 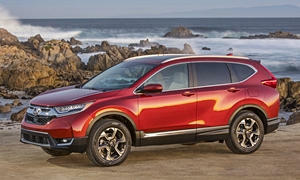 The new CR-V is the nicest option, but the RAV4 and Subarus are more durable and easy to clean up. I'll tell you the exact years to buy in order from which car I think is best for you. 2013 and newer Toyota RAV4: It is the most reliable option and will last for over 200k miles easily. Yes, it is boring, but there isn't a single economy small SUV that is fun except the Mazda CX-5. It is the best selling non-truck vehicle in America currently with good reason. You get a long standard features list with the RAV4 and the interior is durable and good quality. 2009-2011 and 2013-2014 Honda CR-V: These were reliable and drove similarly to the RAV4, so maybe test drive both the CR-V and RAV4. The 2009-2011 were more reliable than the 2012-present. 2009-2012 Subaru Outback: This one is sketchy because there are so many reports of owners needing to add a quart of oil for every 1,000 miles. I like the car aside from the oil problem. One way to prevent this is to buy the 3.6L as opposed to the 2.5L. It will be more comfortable and practical than most economy SUVs.